There's a new feature on Pinboard, called "Bundles" and it solves a real frustration with tags. 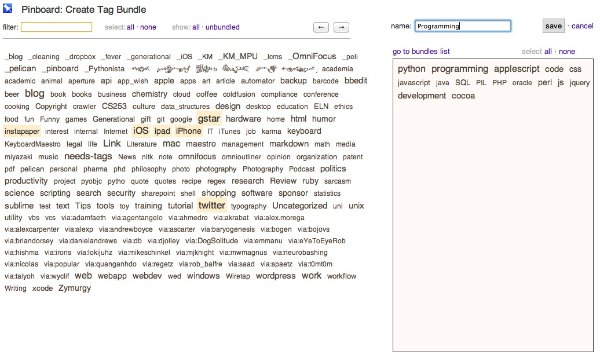 Bundles provide a way to "OR" tags together and save them as a broader category. 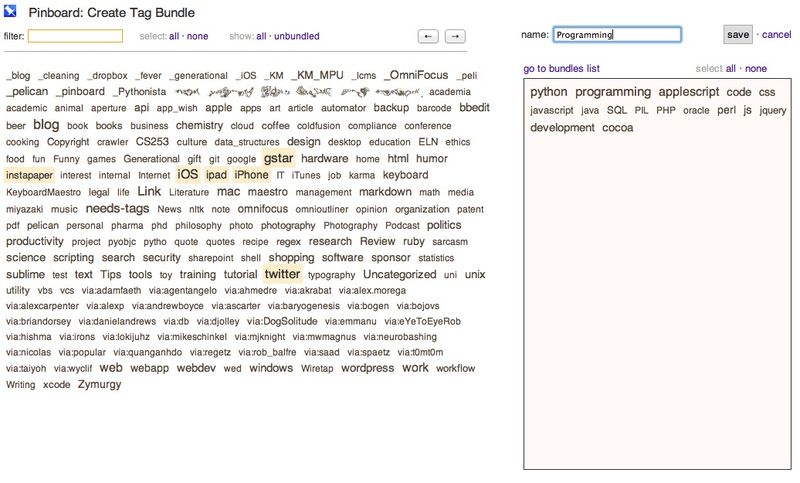 For example, I have many different tags for programming languages. To see all of my tagged programming bookmarks together, I created a bundle. On the bundle screen, tags are combined by double clicking to move them to the box on the right. After naming and saving the bundle, it shows up in a prominent position on my Pinboard page. By clicking on a bundle, I get all of the bookmarks that contain any of the bundle tags. Pinboard is great. I wish more apps directly integrated with it. I often throw links into Instapaper just to get them into Pinboard. It's my everything bucket.